There’s much than I enjoy about Christmas, but like most people, I’ll also be glad when it’s over. We all need the rest! Once again, Rona Green provided one of the year’s highlights, this time with Corporeal, her latest print exchange portfolio. As previously posted, I found coming up with an idea for this one particularly challenging. I tend to be quite hard on my own work, but perhaps because I struggled so much with this image, it’s one that I have a particular affection for. Corporeal will be exhibited at Geelong Gallery in February 2013. 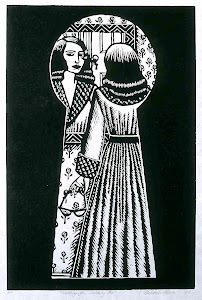 Another high point was Inga Walton’s article Behind Beauty’s Masks – Works by Deborah Klein, which appeared in the journal Etchings, Issue 10, The Feminine. In my opinion, Inga is one of our finest arts writers. To read the article, scroll down the right hand sidebar and click on the link. One of the year’s most unforgettable experiences happened quite recently. On 23 November my partner Shane and I attended One Afternoon with Steven Sondheim at Melbourne’s Her Majesty's Theatre. I’ve revered this brilliant composer and lyricist for decades. To call the event a dream come true would hardly be accurate, because never in my wildest dreams did I imagine I’d see him in the flesh. 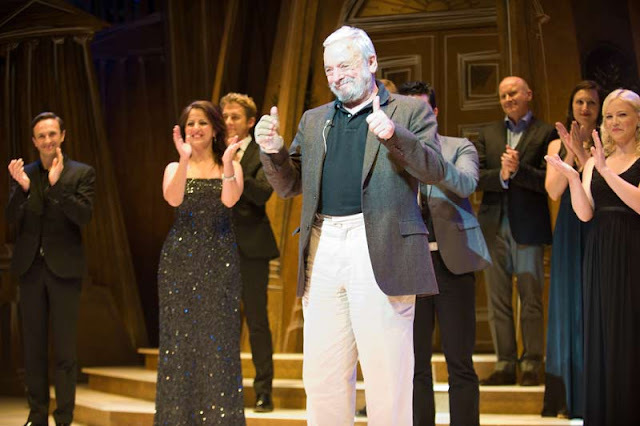 Sondheim was genuinely modest, disarmingly warm, open and generous, discussing in entertaining and enlightening detail his work, ideas and creative process. It was pure gold. 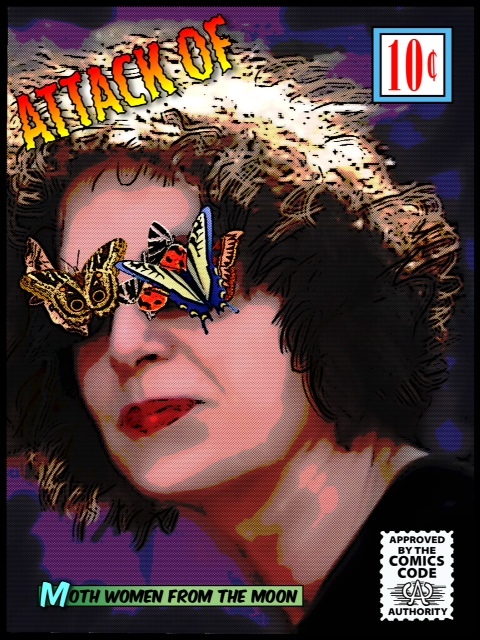 Self portrait photograph placed in Sketchbook Pro, with collaged moths. It’s been a busy year, although next year will be busier. My first ever book art show will take place at Hand Held Gallery in June. I’ll also be making more work for Wonder Room, a group exhibition at Maroondah Art Gallery which is scheduled to open in late October. My fellow artists Rona Green, Filomena Coppola, Heather Shimmen and Paul Compton are a very talented lot, so I’m really looking forward to that one. Happy Christmas, Happy Hanukkah, Happy New Year. 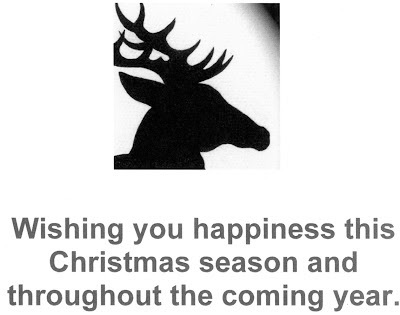 I hope you’ll drop by from time to time in 2013. The Moth Woman Vigilantes UNMASKED is the second of my two zines made for Hand Held Gallery's Christmas show BAZE (Book Arts and Zine Exhibition) and the third Moth Woman Press publication to focus on the notorious Moth Woman Vigilantes. For those few who have never heard of the MWV, here is a brief introduction. The Woman Vigilantes is an ancient, clandestine order whose origins are lost in the mists of time. To countless millions its members are selfless, fearless super heroes with an acute (some would say misguided) sense of justice, whose sole raison d'être is to help the helpless, even if they have to bend - or break - the law to do so. The MWV have equally attracted a legion of detractors, who regard them as a gang of ruthless, highly organised, criminals, whose reasons for taking the law into their own hands are entirely sinister, self-seeking, and certainly not for the purpose of righting wrongs. If they are so heroic, their critics insist, why do they hide like snivelling cowards behind their moth masks? For the first time in living memory key MWV office bearers recently bowed to pressure and, to the abject horror of their colleagues and devoted admirers, agreed to remove their moth masks. The Vigilantes are famously camera shy (to date, they have never been filmed). The controversial event has instead been recorded in a series of detailed watercolour drawings. The revelatory pictures have been collected in the limited edition zine The Moth Woman Vigilantes UNMASKED. At long last, it seems that the identities of their leaders will be revealed. How could they have sold out so readily? And how many more Vigilantes will follow suit? In the tradition of all great super heroes, their heroic deeds were largely dependent on their anonymity. Could this be the beginning of the end of the Moth Woman Vigilantes? To judge for yourself, click HERE. The gallery will be closed from Christmas Day and reopens on 16 January. The exhibition will continue to 19 January 2013. Here is a sneak peek of the small zine Poker Faces, which I’ve just completed. It was made specifically for the forthcoming group exhibition BAZE (Book Arts and Zine Exhibition) at Hand Held Gallery, Melbourne. Curated by Megan Herring, the exhibition will feature some of Australia's finest book and zine artists. The zine is signed and limited to an edition of 100. It will be available on the opening night, which is from 6 – 8 pm on 20 December. BAZE will continue until 19 January. To see inside the covers of Poker Faces and learn more about it, visit Moth Woman Press Artist's Books and Zines (Blog Posts 6 - 8 December) HERE. Pictured left: Poker Faces zine, 2012, colour photocopy, cut and folded, 10.5 x 7.5 cm, limited edition of 100. Photograph by Tim Gresham. Flight Centre was made for the fourth annual Belle Arti Prize exhibition, which opens at Chapman and Bailey Gallery on 12 December. 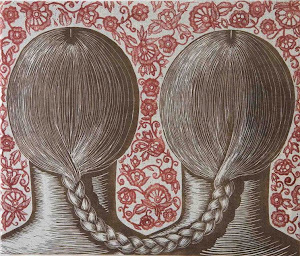 The show has an open theme; the sole prerequisite is that all works are made on Belle Arti stretched linen, 36 x 36 cm. 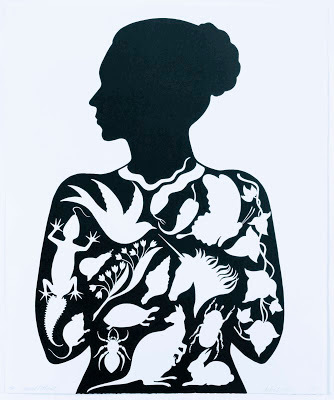 The imagery was partly developed from the linocut Corporeal/Ethereal, which in turn was drawn from my current exploration of silhouetted imagery (see blog posts November 12 and 14). A key influence was Surrealist artist René Magritte, who on several occasions employed both cut out elements and bird iconography (see below left). The exhibition runs until 26 January 2013. Flight Centre, 2012, acrylic on linen, 36 x 36 cm.